The global sports brand PUMA has teamed up with the play and entertainment group Hasbro to create Transformers themed footwear. First introduced by Hasbro and Japan’s Takara as a toy series in 1984, the adventures of the robots which can transform into motor vehicles also became a popular cartoon series. With the more recent addition of a blockbuster cinema franchise, Transformers has turned into one of the most recognisable brands in entertainment. Millions have watched the epic battles between Autobots and Decepticons, and protagonists such as Optimus Prime and Megatron have become household names. Partnering with creative brands to bring consumers a range of appealing products, while pushing boundaries with futuristic design and style, has become a key part of PUMA’s strategy. 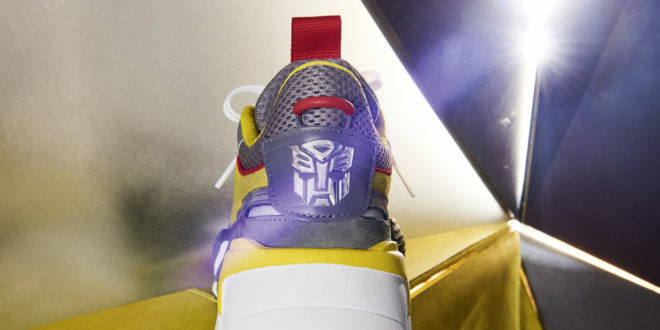 PUMA will combine the Transformers theme with its RS-X shoe, based on the 1980s Running System (RS) line. 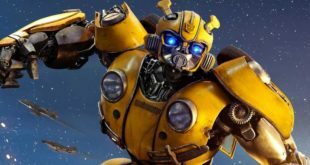 For PUMA and Hasbro, the launch of this collaboration comes ahead of an important date for Transformers fans: the release of Bumblebee, the latest cinema blockbuster in the franchise. 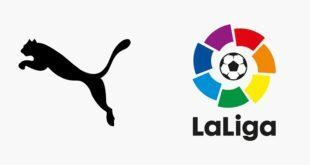 “We are proud to collaborate with PUMA, one of the world’s most popular and respected sports apparel brands,” said Nikki Gie, EMEA Director – Fashion & Home, Hasbro. Adam Petrick, Director for Brand & Marketing at PUMA, added: “We are excited to partner with Hasbro to create a fun collaborative collection that will bring the iconic robots to life.